Shibuya Keita /He was born in 1971. He is a young magician of the Tokyo Kita Ward coming from. He studied under tMr. 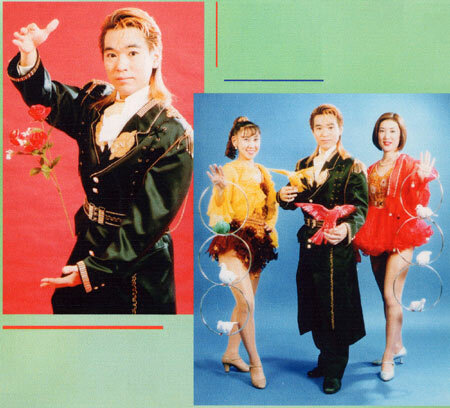 Ken Masaki in 1991, and debuted from a fresh macic. He uses the magic widely,slay hand magic,happy chat masic,the fantasy and speedy illusion magic with the female assistant. He was independented in May 5, 1995. He is taking an active part in stages such as the parties and events now.